How Much Money Can You Spend On the Wedding Process? Getting married is supposed to be a beautiful process for everyone involved. Two people are making a spiritual commitment to be together, and they are inviting all of their friends and family to be part of the process. But, it’s important not to lose sight of some practical aspects of weddings, including the fact that they can be extremely expensive if you’re not careful. You really should pay attention to the budget to make sure there aren’t any shocks later. There are all sorts of different financial aspects that go into the wedding process. You have to buy the engagement and wedding rings. Some people choose to hire a wedding planner, and that can be a significant cost in itself. Some people try to figure out if it’s worth the money if they have a destination wedding Instead of a local one. Altogether, you can get caught up in these wedding preparations and not realize that you may end up in debt afterward if you aren’t careful. A few of the first parts of the wedding process involves buying the rings. Typically, one person will buy an engagement ring as a promise to move toward marriage in the near future. Beyond that, there is the cost of the wedding bands themselves. This can be a significant investment. Some people believe that the high price of rings is an indication of the value that people put on the relationship itself. That perspective is up for grabs in some instances, but it is socially common. Sometimes people don’t want to worry about handling the details themselves, which means that they want to hire a wedding planner. Though a wedding planner may be expensive at the outset, if you choose the right options, they may end up being the people who save you money because they have the resources to do things through their industry that you don’t have access to. Just make sure what you’re getting into ahead of time, and there shouldn’t be any financial troubles later as long as you’re kept in the loop. For some people, a local wedding is ideal because of cost and convenience. However, if you choose to have a destination wedding, that can actually reduce the price for you. Because other people handle the expense of traveling to your wedding, you aren’t responsible as much for what they do when I get there, thereby reducing your out-of-pocket costs. It all depends on what kind of perspective you approach this sort of decision from. Some people save up for years to be able to afford the kind of wedding that they want. Other people just assume that the costs are going to take care of themselves. Sometimes, people have their parents pay for portions of the wedding. 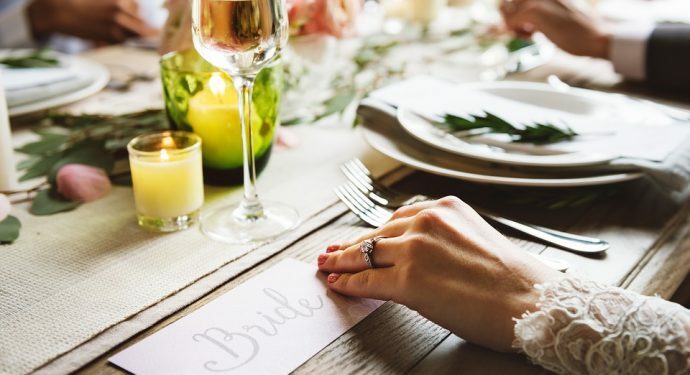 Unfortunately, one of the worst circumstances that can happen is if the cost of the wedding is so extreme that the new couple is now in debt on credit cards or through loans. That may be one option that you need to prevent at all costs.